We are the Bath University Guides and Scouts (BUGS), a friendly and active society open to any student at the university whether you have been a guide or scout before or not! We brave the almost constant rain of Cardiff in pursuit of adventure. When we say adventure we mean board games and pudding. Well, at the very least pudding. We're the SSAGO society at the University of Exeter (also known as SAGE). We run a variety of socials every week and always look forward to welcoming new members! We are a new club, we are actively recruiting members, getting involved with Network, County and District. We are attending rallies, doing indoor and outdoor challenges every week on Thursdays. For students who wish to be a part of SSAGO, independent of a university club. No longer small but still mighty, Keele SSAGO is a friendly, close knit society based at Keele University, Staffordshire. A SSAGO club for those attending Universities in the Falmouth area. Students of Leicester Universities Guides & Scouts - covering the University of Leicester and De Montfort University. SSAGO group based at the University of Nottingham, also open to Nottingham Trent University students. 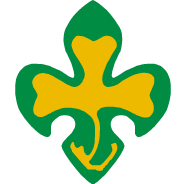 Founded in 1919, OUSGG is the oldest University Scout and Guide group in the country (and second oldest in the world). The club serves both Oxford and Oxford Brookes universities. We are Sheffield Hallam SSAGO! !